In Riviera Nayarit luxury means music, and for the last 13 years, music has allowed us to enjoy the San Pancho Music Festival in this destination. In 2013, the event will take place on February 22 to 24, with free concerts for the public at the main square of San Francisco, a small cosmopolitan town located in Mexico’s Pacific Treasure. 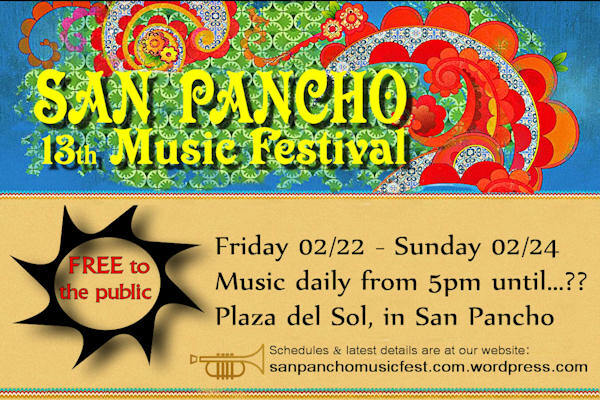 Founded in 2001, the event began much like a gathering at the patio of locals, but by 2006, the lineup included 116 artists, and has grown even more since then, attracting some of the most popular artists in the world, and making this event a cultural tradition for San Pancho. 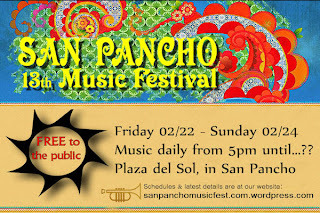 In 2012, the Plaza del Sol was updated by the Government for the People headed by Roberto Sandoval Catañeda, so this year the home of the San Pancho Music Festival will offer a new setting, with more space for the audience and updated restrooms. The festival is completely free for the public, and is supported by donations from musicians and locals. Proceeds from CD sales and recordings goes back entirely to artists. Contributions are welcome, but the festival is strictly a non-profit event. The Convention and Visitors Bureau (CVB) of Riviera Nayarit congratulates the organizers, as the involvement of society together with private investors, the State Government, the Municipal Government and the different sectors of society are what promote development and the creation new events that attract more tourists to our destination.